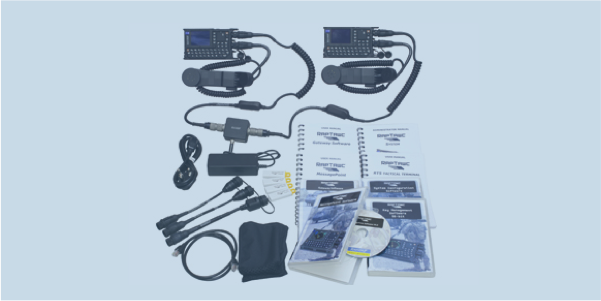 RAPTAWC SDV tactical communications demo package provides all hardware and software for evaluation of RAPTAWC voice, data and position capabilities. RA5 Terminals and all components required to demonstrate the system are included pre-configured to work out-the-box. Terminals are connected to each other via the supplied USSC radio cables through a special back-to-back interface box that power the terminals. Gateway and MessagePoint PC and USB accessories can be added and demonstrated with the demo software. The USSC radio cables can also be used to connect to radios with MIL-C-55116 audio connector interfaces to demonstrate the RAPTAWC system through your radios.